Yes, it’s 2013, beginning of the New Year – so here’s wishing everyone a very Happy and a Prosperous New year ahead! Hope this year brings good luck to everyone in all aspects, and for all those resolutions, let’s try and fulfill them in true spirits! All dressed in black, had some fun New Year celebrations in the office on December 31 with exciting games and prizes and gifts, then there was the dance session which ended with yummy sandwiches and cakes made by the chefs of our office…and last but not the least, a surprise day-off to the office staff on January 1, 2013! While I shifted my own meetings to a suburban 5-star hotel. Thrilling and what a way to end 2012! 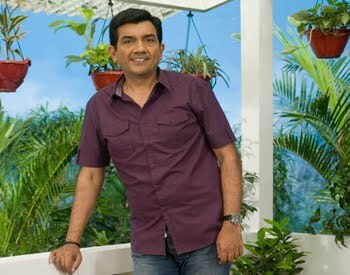 Now in Karjat for the technical shoots of Master Chef India Season 3, followed by the audition and actual shoots. A day filled with energy and enthusiasm with new and upcoming cooks-to-be! Karjat will be my next stay till January 6, 2013. 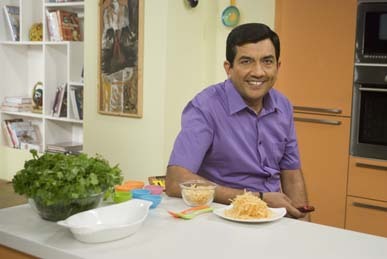 While in office, trials of some new recipes to go on http://www.sanjeevkapoor.com are happening along with the usual round of Youtube shoots. My own cabin in the office along with Alyona’s is currently unrecognizable. Yes, it is under renovation, hence I’m shifted to one of the cabins which is just at the entrance and everyone is surprised to see my face as soon as they enter into the office! I always wanted large glass walls and windows to see the greenery outside, get access to my terrace garden and let a lot of natural light come into the rooms. That wish is finally taking shape now and hopefully it will get ready in time! The countdown to the end of the year has already begun, so here’s wishing everyone a belated Merry Christmas – hope you all had a great time with fun, food, family and friends! Just a few more days left when we all will usher into the New Year – let us all make some realistic resolutions and complete them in full spirits! We celebrated Christmas in the office with the colour theme of red and white and some surprise gifts for all from the Secret Santa. Unwrapping presents in any form is always exciting and it sure makes one a child again! In Bahrain today for The Yellow Chilli’s first anniversary celebrations. Time really flies – its already a year since I had gone to open the store there. TYC at Seef Mall, Bahrain is no more an infant. People all over Bahrain visit and patronize this place. Today, the day will begin with an interview at Your FM Studio, following that, a meeting and lunch at Sun City Venture’s new office with directors. Next in line will be the cake cutting ceremony and press interactions later in the evening and finally the day shall end with a Road Show at The Yellow Chilli store. It’s always ecstatic to be a part of any event related to TYC…and similar is the case with this one. All charged up for a great day filled with some amazing food, interactions with enthusiastic people and an exciting time! After all of this, I have a morning flight to Dubai on December 28, 2012. Dubai has 3 restaurants of mine namely Options, Khazana and Signature. All doing well and creating waves…various events, meetings and trials lined up. A two-day trip and I shall be back to India on December 30, 2012. 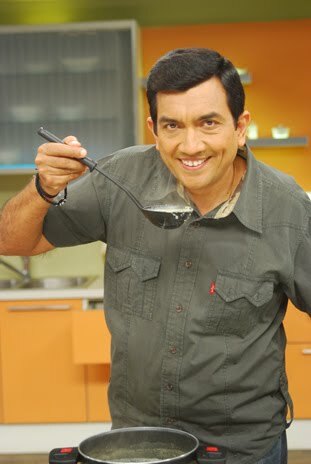 Just after my return, will be again tied-up with the shoots of Master Chef India Season 3. The technical will happen on January 2, 2012 and then the actual shoots will begin. Meanwhile, in office, there is a round of shoots for Youtube with Chef Anupa doing videos for beginners. Keep a watch on our channel “sanjeevkapoorkhazana” to catch the easy recipes. Will keep on updating as and when more of the schedules unfold. FOODFOOD heat is catching on!!! A Happy New Year to you all! There is a lot cooking here, literally! We are shooting non-stop for a variety of food shows for the new channel and with the New Year bringing with it renewed excitement and energies; the level of enthusiasm is superbly high. I have spent a major part of my day giving a WONDERCHEF demonstration of the Gas-Oven-Tandoor which we fondly call as GOT. It is innovative, deals with many cooking techniques and is multi purpose equipment. Saw the new book Wedding Collection, Recipes for the newly weds. I am quite certain that it is going to bring huge sighs of relief to many an aspiring cook, as also the newly wed bride who wants to impress everyone in her new home. The way to a man’s heart is through the stomach, goes the saying, but in our Indian homes, we have to win over the whole family, isn’t it! January also brings with it a lot of Marathon excitement! The Standard Chartered Mumbai Marathon is just around the corner and my cause for the FORUM OF AUTISM is still inviting donations…the cheque has to be made in the name of United Way of Mumbai. 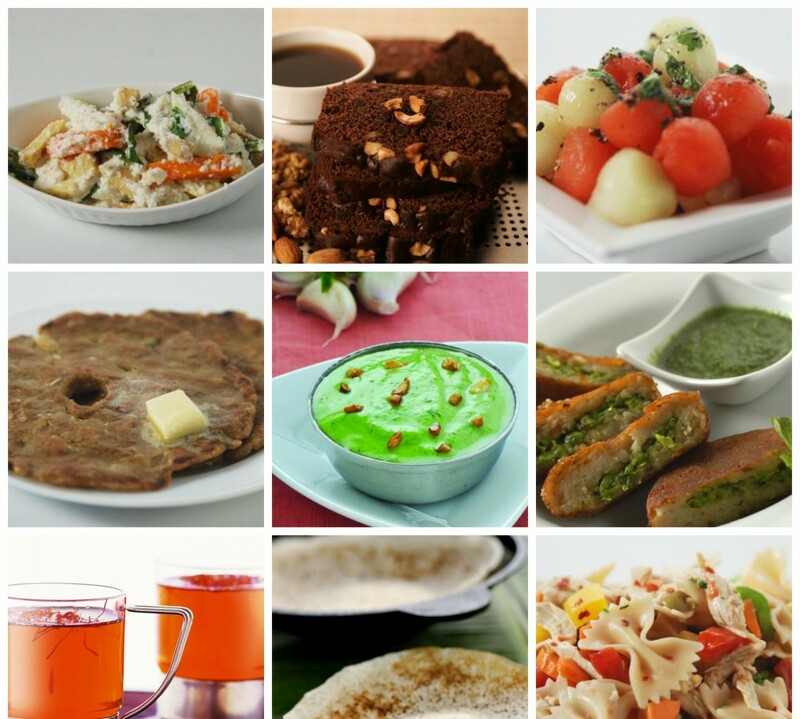 On our website, look out for lovely winter foods and also special festive recipes for Makar Sankrant, Lohri and Pongal. As Mumbai still gets a gust or two of chilly air, let’s use some winter bounty for dinner tonight! The New Year is here again and people are all set to welcome it with a lot of anticipation, joy and zest. But what many of us don’t know is that the New Year is one of the oldest festivals of the world, dating back to the pre historic era. January 1, as it is celebrated in the present day is relatively a new phenomenon. If we look into the history of New Year, we will find that a series of changes has affected it to get to its present global form. The urge of celebrating New Year as a vibrant festivity emerged at the dawn of civilization. This becomes one of the principal reasons for New Year traditions to vary from country to country. It is believed that the earliest New Year celebrations have been in Mesopotamia in 2000 BC. A lot of other dates are also associated with it in other ancient cultures. • One popular belief is to kiss your beloved and your dear ones at the stroke of midnight conveying warmth, affection and care. • You should settle and clear all your unsettled amounts and unpaid debts as it is not good for a New Year to begin with. Make sure to deal with all money settlements before the old year closes. • It is auspicious to begin the New Year by wearing brand new clothes which ensures a steady flow of new clothes the entire year, adding jazz to your wardrobe. • You should greet the New Year by making loud noises. Not only would you enjoy doing that, but also it is believed that it scares away evil spirits thus ensuring you have a hassle free New Year. • Paying back loans or lending money to anyone on January 1 is not a good option as it indicates that you shall be paying all year long and money would be flowing out instead of coming in. • Babies born on January 1 are believed to be lucky and have prosperity on their side. • Avoid breaking things on the New Year day as it indicates that ‘wreck’ will be your companion for the rest of the year. • Being happy and cheerful on the first day of the year is also recommended as it ensures a cheerful year ahead. Some happy food for Day one of Twenty Eleven: Dal Soup with Tomato, Gajar and Kishmish Salad, Cheese and Vegetable Croquettes. In Russia, amongst the most popular New Year symbols is a New Year’s Tree called Novogodnaya Yolka that is topped with a bright star and decorated with various sweets. New Year presents are kept under the New Year Tree. The most important part of the New Year activities is the sumptuous dinner with light music and champagne. The most important meals consist of meat, green peas, pickles, mayonnaise, onion, carrots and potatoes. Traditions and customs make a splendid part of New Year celebrations in Europe. ‘First footing’ is a very old tradition, practiced very seriously in Europe till date. When the clock strikes at midnight, a male stranger must be the first person to enter the house. It is supposed to bring good luck and prosperity for the family. The visitor must bring with him lump of coal, bread and some salt. In Europe, people follow a custom of making noise to welcome the New Year. This is done to scare off all the bad spirits. In the United States, New Year’s Day begins with wishing the near and dear ones ‘Happy New Year’. People visit their loved ones and sometimes go out for a picnic with them. Watching the famous Tournament of Roses Parade further accelerates New Year celebrations. Theme of the parade varies every year. There is also a New Year custom to play the most famous games of football such as the Orange Bowl and the Fiesta Bowl. In Japan, New Year Eves see people eat Toshikoshi-soba at night. They offer prayers at midnight. It is considered highly auspicious to listen to the chimes of a temple bell. According to the Japanese religion, sound of the 108 chimes drives away all the sins and gives birth to new life. The people of Germany welcome New Year in a merry way. It is considered very auspicious by the people to have carp (a type of fish) or herring and toast made with champagne or sekt. Cabbage and carrots are also eaten to bring in financial stability. Lentil soup with wieners is very popular. In Indian homes, we start the traditional way by having something sweet: Chocolate Walnut Kheer, Anjeer Date Barfi, and Sohan Halwa. More Indian sweet recipes. Another Monday at the office after an exciting and joyous Christmas weekend. And the fun does not end here, it will continue now till we enter into the New Year with a bang! The celebration was really a refreshing factor amidst my traveling and touring…after all we all need a little bit play along with our work to keep it going smoothly. Weekend was spent in fun. Kriti, my younger daughter is selected for 400 metres All India School Nationals in athletics. She is training there with kids from all over India. I’m happy about her selection and prospects and that she has adjusted well to training and camp. As for my routine goes, lots of meetings happening. This sure will pace up as we come closer to the year end when our channel FOODFOOD finally goes on air, which means there would be more and more shoots as well. Plus, the launch of the new TYC branches opening up at various places. The Yellow Chilli chain of restaurants has already crossed the figure of two dozens in pan Indian market, soon to be opening in Bahrain and Saudi Arabia too. One is opening in Kathmandu (Blue Bird Mall, Tripureshwar). I am going there for its launch tomorrow and this venture will strengthen the Indo Nepal ties as food speaks the universal language of love. 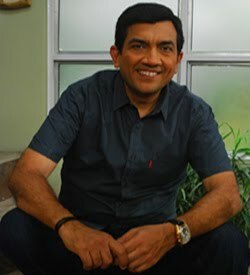 Check out http://www.sanjeevkapoor.com for the newly added feature like the tab section on the homepage. Now we have different sections separately assigned for various recipes along with the shopping section. It allows easier browsing and you can find your favourites even more quickly without going through the entire recipe list. It also gives you the option of the types of recipes and so this becomes pretty convenient and more user friendly. Meanwhile, check out some light food using the winter bounty Spinach and Pumpkin Curry, Gajar Gobhi Shalgam ka Saag and wind up with a creamy Gur aur Akhrot ki Phirni. Leaving my departure hassles aside, let me just talk about New Year which is around the corner. With Christmas just before the New Year, we see homes, markets and other places already lit up and dazzling with the festive and celebration mood. Trust me, it is one of my favourite times of the year with so much of happiness and joy around. And what better than food to enjoy this mood with. Try out some of my choices for this Christmas and the year end on www.sanjeevkapoor.com. With New Year, come resolutions because we all feel the need to change and what day is better than the beginning of the year, January 1. Resolutions help us to start afresh habits than to break an old one. This year, make sure to fulfil the goals that you set by planning them well before. Share your resolutions with family and friends and I’m sure they will help you to achieve it by encouraging and supporting you at every step. I know for sure the satisfaction that you can gain when you see yourself completing something which you’ve decided to. So, I would say just go ahead and throw up a challenge for yourself and aim to complete it! Take a pledge to maintain a healthy lifestyle by including fruits and vegetables in your diet, drinking lots of water, exercising, be good to humans as well as the flora and fauna, spread happiness around…all in all, just build a more positive behaviour! Just plan to work on such things and leave the rest to God. I’m sure He’s always there to bless and help everybody! Till I get back home.